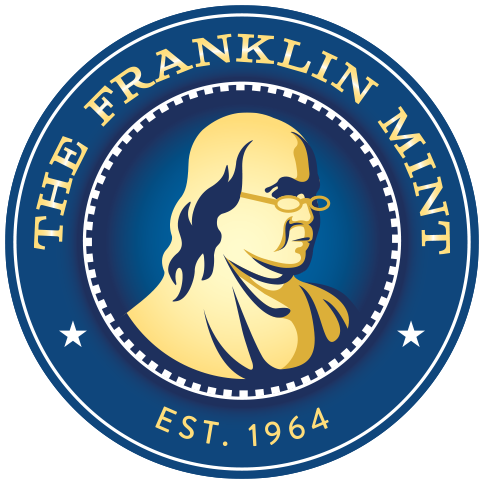 Franklin Mint Edition Scrabble, this stunning Collector’s Edition is a tribute to the rich history and quality of The Franklin Mint. 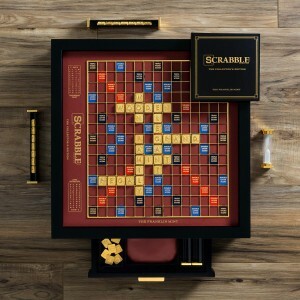 The dazzling features include a beautiful wood cabinet, premium game components, and 18K gold plated game pieces. 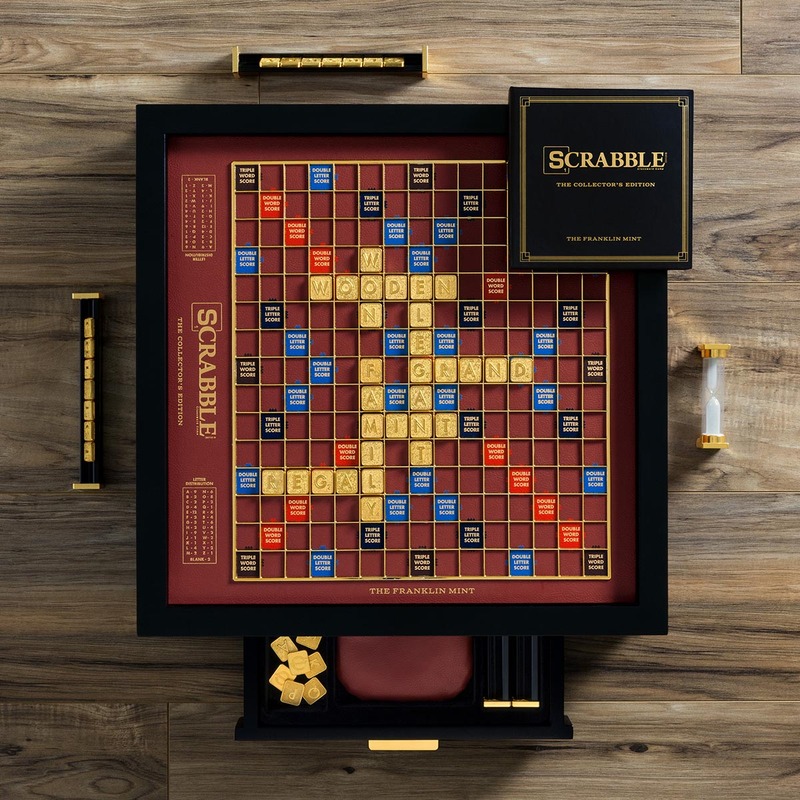 The Collector’s Edition is fully authorized by Hasbro and The Franklin Mint, and truly is a must-have for Scrabble enthusiasts. Nice all around but pricey. Purchased this set a while ago and it is still a loved piece in the home. If not for the cost, it wold merit six stars! !